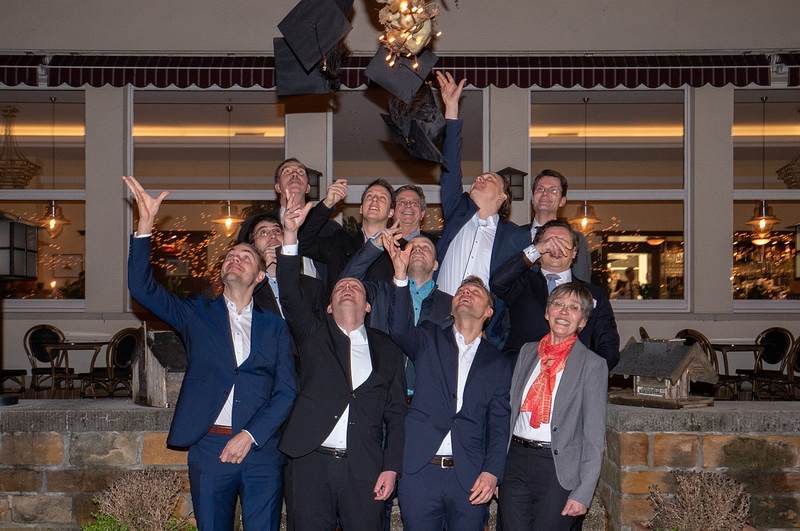 Die Technische Hochschule Mittelhessen hat zehn Absolventen des berufsbegleitenden Studiengangs Master of Business Administration (MBA) verabschiedet. 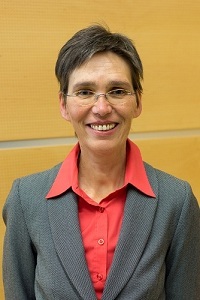 Sie kamen mit Angehörigen und Lehrkräften der THM Business School bei einer Feierstunde zusammen. Dort sagte Studiengangsleiter Prof. Dr. Jan Freidank bei der Begrüßung: „In Zeiten globaler Herausforderungen und einer sich immer dynamischer entwickelnden Wirtschaftswelt ist es wichtig, den Wandel mitzugestalten, anstatt nur auf ihn zu reagieren. Hierbei möchte das Programm einen Beitrag leisten, indem es seine Ausbildung konsequent auf internationale und interdisziplinäre Inhalte ausrichtet. Hierzu gehört auch die Aufnahme von Themen zur Digitalisierung in das Curriculum.“ Der Fachbereich Wirtschaft aktualisiere permanent das Studienprogramm. Das führe zu einer sehr hohen Zufriedenheit bei den Teilnehmern. Als Jahrgangsbester mit einer Abschlussnote von 1,2 wurde Sebastian Koch ausgezeichnet, der bei dem international tätigen Autozulieferer Küster arbeitet. Bekannte Unternehmen wie Continental oder Fresenius haben wiederholt Nachwuchsführungskräfte in den berufsbegleitenden MBA-Kurs des Fachbereichs Wirtschaft entsandt. Im aktuellen Jahrgang waren Ingenieure, IT-Spezialisten, Chemiker und Betriebswirte unter den Teilnehmern. Zum Programm gehören auch Auslandsaufenthalte in Italien und den USA. This year theme was the impact of digitalization transformation on business and its impact on the future of work. The event started with a casual get together at the ALEX Frankfurt Skyline Plaza on Friday November 16th followed by a full day on Saturday November 17th at the Evangelische Akademie located in the heart of Frankfurt at the Römer. More than 40 Alumni and current students joined the event. In addition to our friends from University of Bergamo we also welcomed Alumni from BMI Vilnius turning the Alumni Day into truly international event. 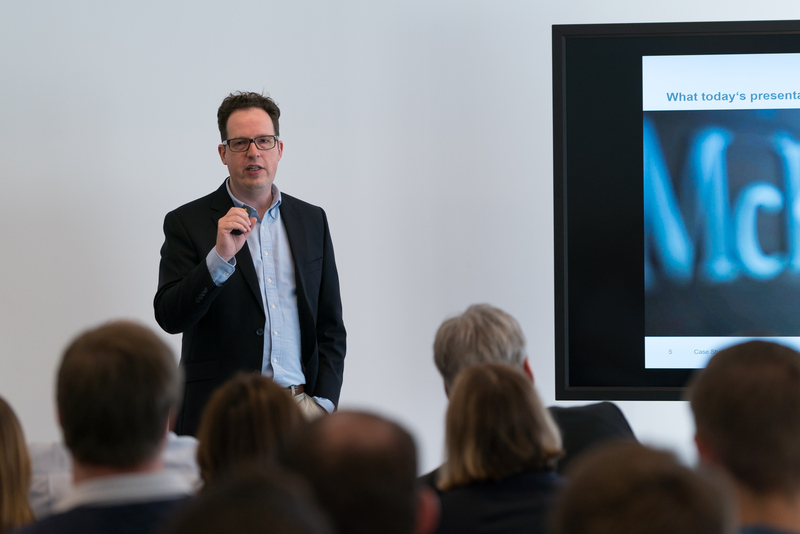 Digital transformation expert Peter Knapp opened the day with a very insightful look into the roadmap for Digitial Transformation of a manufacturing company. As former Chief Digital Officer and experienced head of some of the largest data centers in Europe he was able to showcase challenges of digital transformations. In his view deep commitment and digital skills are needed from top management which cannot be achieved by a singular strategy workshop. He recommends to develop a long term strategy and detailed digital roadmap which helps a company to prioritize and allocate resources needed for the digital transformation. “Knowledge and use of digital buzz words” will not be enough to compete any longer. From October 25th to 27th our MBA partner BMI visited Frankfurt and Mittelhessen for a 3 day conference on Industrie 4.0. 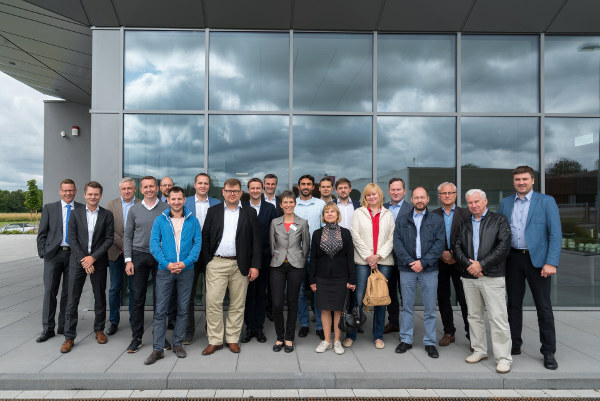 20 executives from Vilnius Lithuania were given a fist hand look into the latest developments of one of the most important trends in industry. The program consisted of a general outlook and forecast of the German and European economy given by Prof. Hayo Reimers, followed by an in depth look into the latest trends by the Industrie 4.0 Coordinator of the THM, Prof. Gerrit Sames. Martin Heinz, general manager of ITAC Software AG and Alumni of our THM Executive MBA, provided insights into software architecture needed for excelling manufacturing automization and integration. 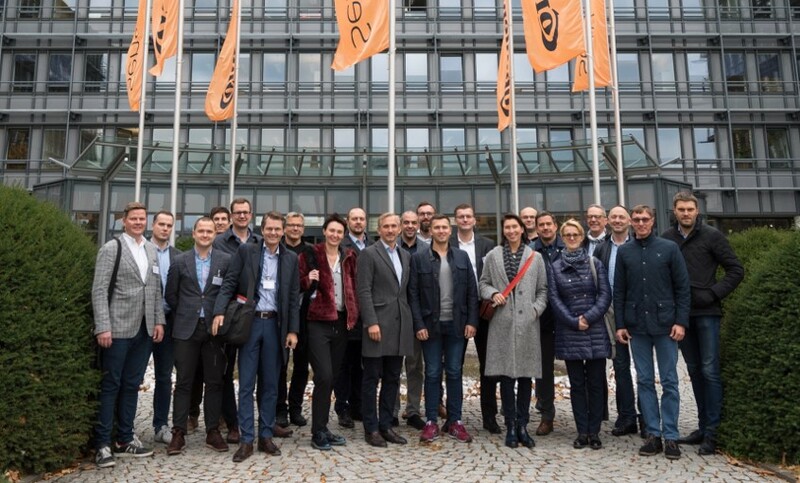 Company visits to Continental Teves in Frankfurt, Bender GmbH in Grünberg, and Buderus Guss GmbH in Breidenbach provided valuable use cases for the implementation of the Industrie 4.0. The trip to the Universita Degli Studi di Bergamo was the last module for the MBA class XIV as a group, so this was also some kind of farewell event. Most of us arrived in Bergamo on Wednesday evening,looking forward to our visit at the University on the following day. At Pizza Bella Napoli we got acclimated to the Italian culture with great pizza. We were welcomed at the University by the staff and by meeting the Italian students on the first morning. To get to know each other, we had a small exercise finding out things we had in common and differences in our lives. It was interesting to see that one of the reasons behind starting an MBA for the Italian students was the economic situation of Italy, which is much rougher in terms of unemployment than in Germany. This seems to lead them to start the course at a younger age and at a way lower budget. Together we visited Tenaris in Dalmine, a global manufacturer and supplier of steel pipes. After a lecture on the details of the production process and the different applications of their products, we went to one of the sites, where yellow-glowing hot iron bars ? were pushed through a spike to form pipes. To see the degree of automation, the safety precautions and the processing of the products left a deep impression on me. The next day started with speakers of Bonduelle, Tesmec and Italia Zuccheri with deep insights into marketing salad, heavy machinery or sugar in their respective innovative way. The lecture was topped off by practical examples of how to grow by learning from mistakes. Later on, we were welcomed at Fratelli Beretta, a company that sells pre-packaged cold cut meat, with an assortment of their products for lunch. The family business with experience since 1812 showed us the trip the company has taken in the last 20 years, which lead them to become a diversified company and one of the largest food processors of Italy. On the last day it was time for some business game with the Italian colleagues. By solving case studies and playing a role game, we could learn from each other’s skills and so develop a joint strategy. It was a refreshing way to conclude a weekend of lectures and company visits by a practical assignment, which was being discussed across the teams even afterwards on the event in the evening. Together we went to the Città alta to have some typical polenta and red wine. The abroad modules had been the cherry on the cake - this was the summary from our Graduates. 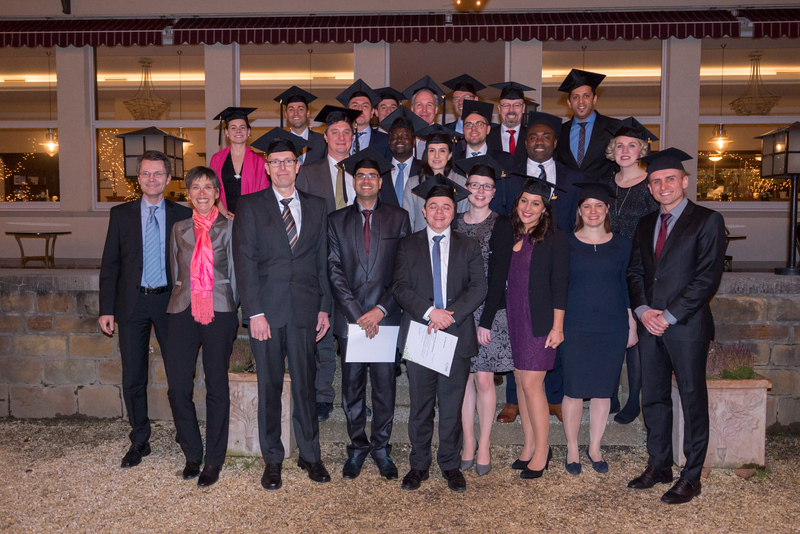 On February 3, 2018, the 13th MBA class of the THM Business School were celebrating their graduation event at the famous hill-side Restaurant Johannisberg in Bad-Nauheim. While having some sparkling wine, Prof. Dr. Jan Freidank presented the greetings from the THM President, Prof. Dr. Matthias Willems and the Dean of the THM Business School, Prof. Dr. Sven Keller. The 21 Graduates joined the event with their families and during the evening all had a kind of revival of the MBA times. A picture-show gave opportunity to see and hear interesting & funny stories. More than one had a kind of déjà-vu. Michael Döring made the classmates’ speech and all agreed: it had been an intensive time - they learned a lot from the professors, but also from each other: their rich professional experience from different branches & companies is an asset and the abroad modules, in Bergamo/Italy and in the USA were “the cherry on the cake”. The 3 babies and 2 toddlers who were celebrating with us, were proof enough that sufficient time had been left for “private things”. Not only careers, also families got the boost. Based on a long-term cooperation with our partner university Baltic Management Institute in Vilnius, Lithuania - the THM could offer several seminar blocks in economic / management classes to the MBA students. The next courses are Managerial Economics & Global Economic Environment, Management Practices, Digital Management and Operations & Supply Chain Management. There are limited places available, so have a look on the dates below (read more) and contact us. 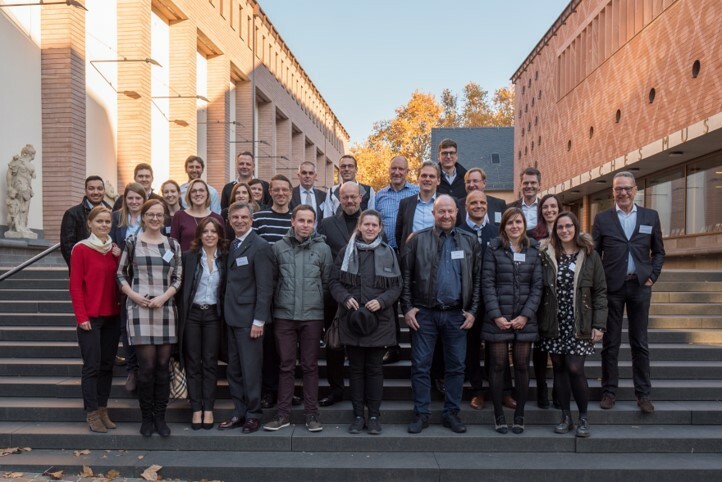 In November MBA-Alumni met at the Evangelische Adademie in Frankfurt for their annual Alumni-Meeting. 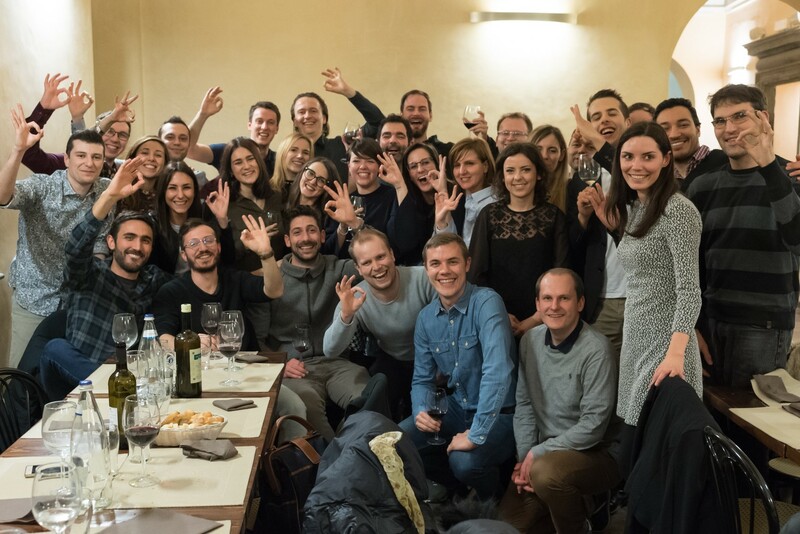 More than 50 people from different alumni cohorts and guests from our partner program at the University Bergamo participated in a lively event. The main topic of the alumni day was the digital transformation and its effect on German industry. Two top speakers could be recruited who gave great insight into different aspects of the subject. We the students of the MBA class XIV were looking forward to the International Business Seminar taking place at Pfeiffer University in Charlotte, North Carolina. The seminar, one of two abroad sessions within the THM MBA School, brought us to the third largest banking center and the southern region of the United States. Charlotte is a hub and can be reached easily via direct flight from Frankfurt. 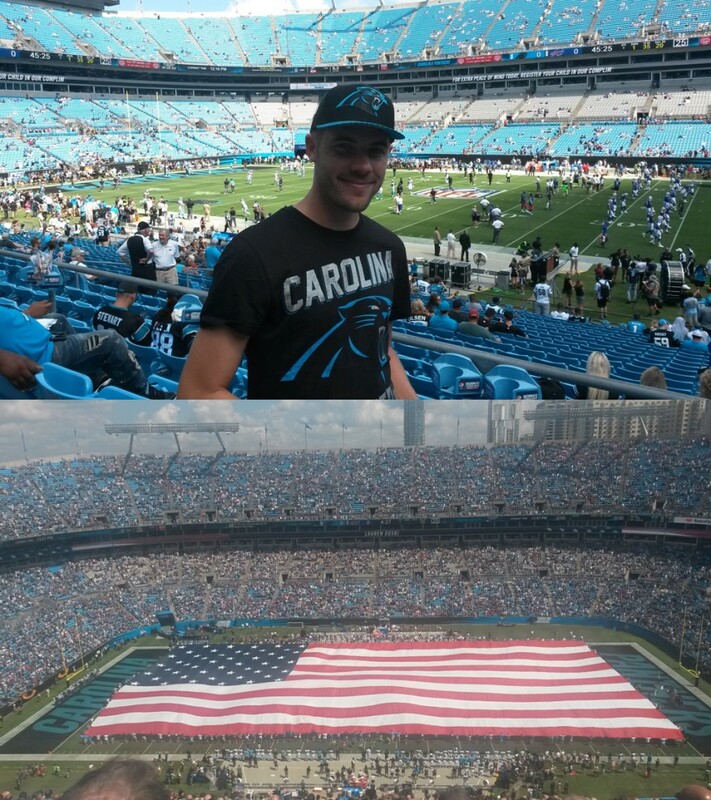 We took the opportunity to visit the first home game of the NFL season on Sunday after enjoying some real good BBQ on Saturday evening, since the North Carolina is famous for its smoked meat. The atmosphere of NFL home game is a combination of families meeting on parking lots to BBQ and play tailgating games, cheerleaders and bands playing music in the streets. We enjoyed walking around downtown Charlotte and absorbed the spirit of the beginning season, the Carolina Panthers supporter were well equipped to support the home team. The games started with a show: unreel of the US flag and the national anthem plus a fly over of two F-16 fighter jets over the stadium. Although there was no touch-down at all, Panther won 9 to 3, the game was exciting and the show was worth to see. Meeting in the lobby of the hotel we started for a small city tour by bus. The program coordinator Dana Hanson showed us around and gave us some recommendations for the seminar afterhours before me had our welcome reception at Pfeiffer University. At the THM Business School as in other Business Schools dealing with executive MBA programs, the percentage of female executive MBA students is still below 50%. Our program aims at pushing this number and addresses females interested in our executive program to apply for the partial scholarship (value € 3.750 €). After last year’s great success the THM MBA hosted its second event on “Innovation and Industrie 4.0”. Special guest were students and alumni from the Baltic Management Institute in Vilnius, Lithuania. The event was a mixture of presentations by experts and specialists and visits to companies which are at the leading edge for the current digitalization trend in the German industry. The event was a great success and an inspiration for those who participated.